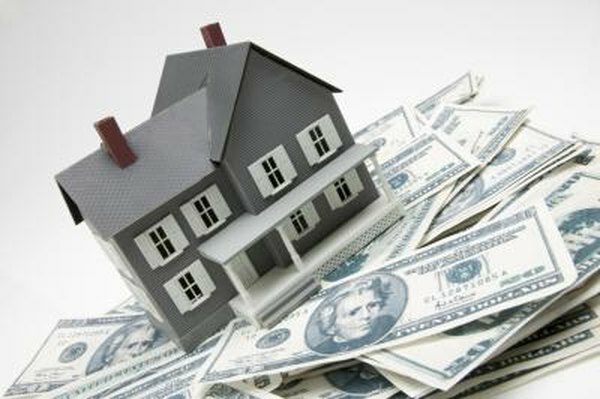 The VA doesn't back home equity loans, but they offer cash-out refinance programs. 2. Can I Get a Home Improvement Loan With an Owner-Financed House? 3. Is There Mortgage Insurance on a VA Loan? Even if you have many years left to go until your mortgage loan is paid off, your property can still provide you with a source of additional funds through a home equity loan. As you pay down the balance on your mortgage loan, the equity value of the home slowly increases. If the appraised value of the property appreciates, this also increases the equity value. The Department of Veteran's Affairs, VA, offers guarantee loans for service members, however, they don't currently offer home equity loans. As a homeowner, there are still options for you to utilize your equity with an existing VA loan. VA loans are available to eligible members of the United States military branches, reserves and national guard. The VA guarantees to back these mortgage loans for lenders who agree to participate in the program. This allows the lenders to relax the lending requirements slightly. Service members can obtain a VA loan with no down payment and no mortgage insurance. The VA doesn't currently provide backing for traditional home equity loans. However, they offer cash-out refinance loans that are used to tap into your home's equity value. This type of loan is not a second mortgage, it's a new mortgage loan that pays off the existing loan and then pays out additional money to you in cash. With a VA cash-out refinance, you can go from a conventional mortgage loan into to a VA loan and take advantage of the many benefits. You'll need to meet the same basic service eligibility and lending requirements to qualify for a cash-out refinance. If your original mortgage loan is backed by the VA, you may be able to obtain a conventional home equity loan through a bank or mortgage lender. Home equity loans are second mortgage loans that stand in second position to the current VA mortgage loan. The loan amount is paid out to you as a lump sum, and then you immediately begin paying off the loan based on the terms set by the lender. Generally, lenders charge slightly higher interest rates for these loans and might scrutinize your application more than the original mortgage application. HELOC is the abbreviation used for the Home Equity Line of Credit. Essentially, HELOC loans work the same way as traditional home equity loans. However, instead of disbursing the funds in a lump sum, the lender sets up a credit account for you for a specific period of time called the draw period. During the draw period, you can use the funds like a credit card. You can pay it off as you go, or make the minimum payments. After the draw period, you enter the repayment phase and pay off any remaining debt as agreed on. This form of an equity loan offers home owners more flexibility to only use what they need when the money is needed. Military VA Loan: What is a Home Equity Loan? How Do I Get a Short-Term Unsecured Loan? Do All Home Lenders Require a 20 Percent Down Payment?